In the hours between her first and second races in Thursday’s women’s giant slalom world ski championship event, it was easy to look at Mikaela Shiffrin — the teenager often hailed as American skiing’s future — and see into her past. Shiffrin sprawled on a couch in one corner of a big mid-mountain cafeteria at Colorado’s Beaver Creek resort, biding time and talking with her mom, Eileen, a former ski racer herself. The room smelled like delicious French fries and damp synthetic microfabrics — in other words, just like skiing. The grilled cheese sandwich on the menu was retailing for more than 13 bucks after tax. Over the years Shiffrin has spent about as much time in this pose — winding down while gearing up — as she has in her racer’s tuck position. (According to The Wall Street Journal, word search games are her poison.) Having grown up right down the road, in Vail, she’s no stranger to the nondescript nooks and crannies scattered around slopeside. She wasn’t even 4 years old the last time the FIS Alpine World Ski Championships were held in the United States in 1999. But this time around, she has been one of the competition’s biggest draws, a marquee name to rival Julia Mancuso or Lindsey Vonn. A year ago, in Sochi, an 18-year-old Shiffrin became the youngest Olympian to win the gold medal in slalom — a tightly wound, highly controlled discipline that exists on the opposite end of the spectrum from the go-big abandon of the downhill course. In her victory press conference that day, she admitted to daydreaming about winning five medals the next time around. Since then, she has targeted the giant slalom as her next hill to climb: It’s an event looser and more spaced-out than the regular version, but still engineered enough to be considered a “technical” category. In October, Shiffrin earned her first top World Cup finish in the event. Her rising star coupled with her local roots made Shiffrin a crowd favorite on the mountain. On Tuesday, as she got set to compete in a team event at Vail’s Golden Peak, a “U-S-A!” chant broke out in the finish line grandstand. Something about it sounded unusual, almost childlike, far from the typical drunken patriotic grunts of sports bar patrons or fraternity men. The chant, instead, was being led by a big group of goggled and giggling preteen girls. A man of indeterminable nationality stood in an aisle and performed a suggestive dance in which he stripped off one shirt after another (all mountainfolk know how to layer) and threw them into the crowd until all that remained between his bare chest and the world was one merciful red T-shirt. A good number of folks were in their ski gear; one man had chosen to schuss in a bear suit. In keeping with the latest trends, mostly everyone was sporting neon, including the three best-known American women in their highlighter-bright jackets: Shiffrin, Mancuso, and Vonn. The schlep and the expense of skiing are the activity’s major downside, even if diehards try to flaunt both like a badge of pride. Resorts have long sought to address both problems and make vacations to the mountain more appealing, particularly to snag lucrative families who will put the kids in pricey ski school and spring for multiple orders of $20 chili. The result has been an experiment in the planned serendipity of managed experience. 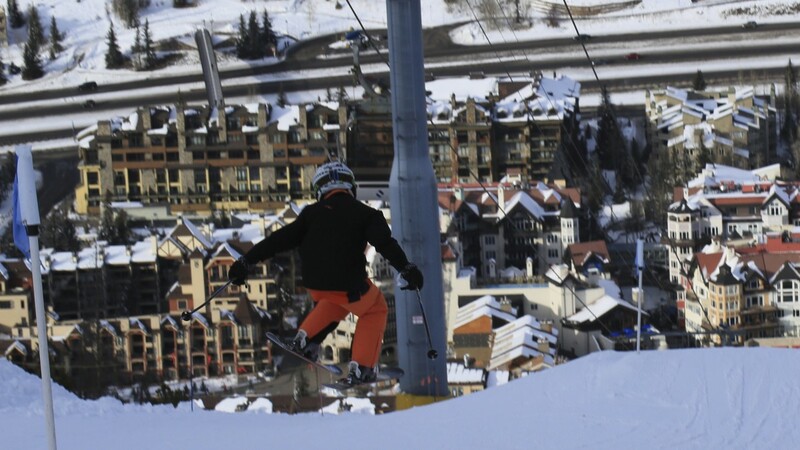 Both Vail and Beaver Creek are owned by Vail Resorts, a massive publicly traded outfit (ticker symbol: MTN) that also manages major ski mountains and related property across Colorado, Utah, California, and even Minnesota and Michigan. To a certain sort of rugged mountain-lover, Vail Resorts is shorthand for everything that has destroying skiing: the cookie-cutter villages, the outrageous prices — a day pass at Vail, if you don’t plan ahead, will run you $159 — and the general stank of corporation, man. Folks who love Vail mostly prefer to focus on the mountain’s history, which shares many roots with the 10th Mountain Division, a special military unit trained to fight on skis in alpine conditions in World War II. Following the war, many of the soldiers transformed themselves into ski patrollers, and some sought investors to start their own ski mountains. Vail was one of them, thanks to a partnership between Peter Seibert, who had fought with the 10th Mountain Division, and Earl Eaton, a local who had explored the Vail terrain as a kid. Recently, the grandson of one veteran began a boutique liquor company called 10th Mountain Whiskey and opened a tasting room in Vail Village. This isn’t wartime mountaineering, that’s for sure. At Beaver Creek, a mountain positioned as a luxury family retreat, chefs in white hats and aprons routinely materialize out of nowhere — even in the lift lines! — to dole out fresh-baked chocolate chip cookies. There’s a Ritz-Carlton with a Spago restaurant and a driveway that wends past multimillion dollar mansions, a journey designed to give you that particular ambition that can only spring from feelings of acute inadequacy. With the World Championships here, there’s a disconnect: The featured and celebrated professional skiers are not the ones who appear to be living like queens. Walking through town, you might see some random woman in a fur hat handing off her ski poles to a valet as if she couldn’t possibly manage them for even one more second. Right behind her might be a world-class athlete, trudging alone through the village, laden with multiple boot bags and long, heavy skis. There’s an element of sensible pride here — if you can’t carry your own equipment, many would assert, you really shouldn’t be skiing — but it’s a little amusing how the luxe environs seem to make exceptions out of the very skiers who rule. Mikaela Shiffrin did not seem all too pleased following her second giant slalom on Thursday afternoon. In the morning she’d finished tied for 13th after a run that was, for her, a bit tentative. After spending a few hours sitting in the dining hall corner, either thinking or purposely not thinking about what was next, she skied a superior second run. Still, her body language when she finished suggested that she knew it wouldn’t be enough to get her onto the podium. Vonn had made an error early in her first run that cost her valuable seconds, and stood in 25th place after the morning. She said later that her boyfriend Tiger Woods — who was in Beaver Creek a day after announcing he’d be ceasing competition indefinitely to try to get his golf game back — had told her just to end on a positive note. (It’s easier to give advice than to take your own, as ever.) Her second attempt was the fifth-fastest of the afternoon, placing her within the top 15 skiers overall, something she said had been her goal. She waved and blew kisses to the appreciative crowd. 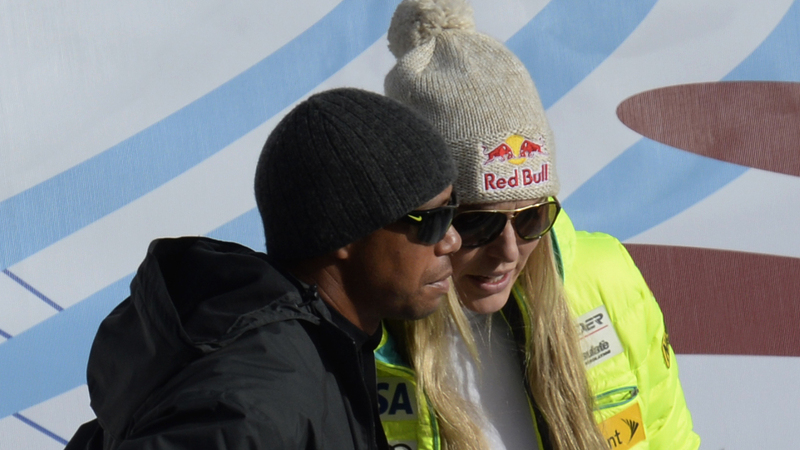 The race had been Vonn’s first return to the giant slalom in over two years thanks to a series of injuries. A disqualification in the super-combined event on Monday had reduced Vonn to post-race tears, but she seemed to accept, and even be encouraged by, her Thursday result. Shiffrin also owned up to nerves. “I’ve been working a lot on my terrain, and it’s just — sometimes the blind turns sketch me out,” she said. But Saturday she’ll be back in her favorite race: slalom, an event in which she’s the reigning World and Olympic champion. It remains hard to believe that she’s still only 19 years old. That is, until you see her off the mountain, lying there in her racing suit with her headphones, looking just like the little ski race team kids you see at all resorts everywhere, the ones who tool around like they own the damn mountain, the ones who know that the chillest place to relax between races isn’t at one of the five-star hotels but on some couch in some corner near the buffalo chili. They’re the ones who just love to ski, who don’t need creature comforts in order to feel right at home. If they’re lucky, and if they’re inconceivably good, maybe they’ll wind up like Shiffrin.